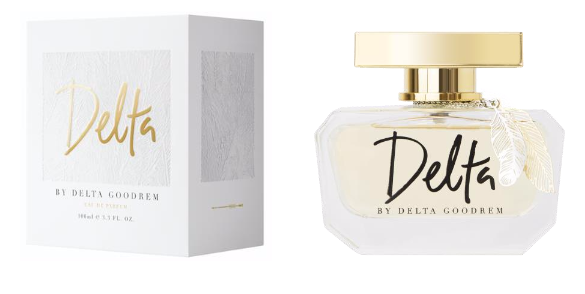 Delta Goodrem introduces her first foray into the fragrance world with her debut scent, Delta by Delta Goodrem (100ml: $49.99). Launching in Australia this April 2017, the fragrance exudes femininity and boho elegance, a perfect reflection of Delta’s charm and character. Created in conjunction with leading Australian fragrance manufacturer and distributor Bondi Perfume Co, Delta by Delta Goodrem embodies the style, charisma and spirit of Delta herself. “Launching my very own signature perfume is the realization of a dream come true. These last few years have been such a creative time for me, personally and professionally and it has given me a sense of empowerment as a woman. “For me, this fragrance embodies the spirit of this special time. It’s fun, feminine and fresh. I want the perfume to represent the girls and women who wear it. Perfume is such a dynamic addition to anyone’s life and beauty routine. It’s the finishing touch to any outfit, performance and sets us on the adventure in our day”. Delta says. Opening with notes of juicy mandarin, velvety nectarine and bright green apple, the scent’s top notes are infused with vivacious energy and sparkle. The heart of the fragrance shares Delta’s joyous style with a hint of sweet honeysuckle that mingles harmoniously with jasmine pearls and wild orchid. Rooted in the background are ingredients that lay close to skin with the softest touch including creamy sandalwood and warm vanilla wrapped in a white musk to embody pure luxury. The refined bottle showcases the simple elegance and style that Delta is known for, featuring weighted glass and adorned with luxe gold filigree feathers - the perfect addition to any woman’s fragrance collection. Delta by Delta Goodrem will be available in 30ml, 50ml and 100ml sizes and priced at $29.99 (30ml), $39.99 (50ml) and $49.99 (100ml). Delta by Delta Goodrem will be sold exclusively at Chemist Warehouse, My Chemist and My Beauty Spot from April 2017.